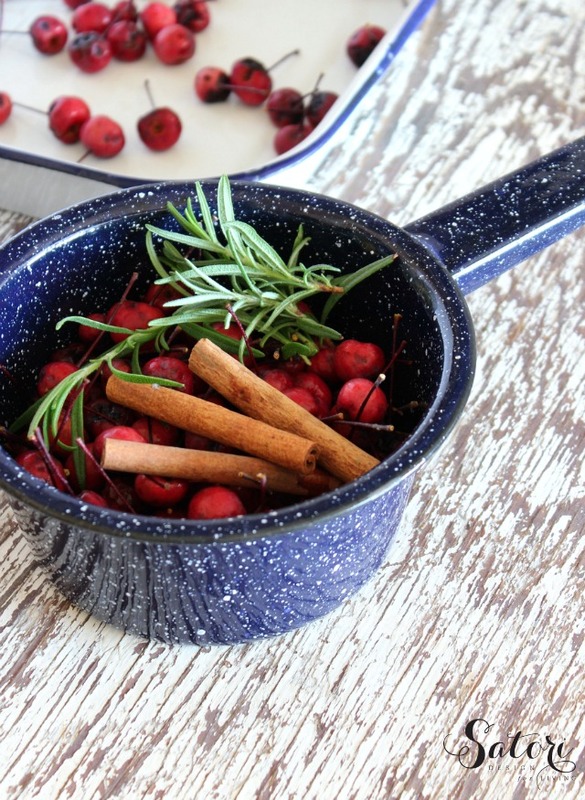 A fall simmer pot is my favourite way to fill our home with all-natural scents of the season. Learn how easy it is! Not only are homemade simmering spices quick and easy, they’re generally much healthier than store-bought room fresheners too. 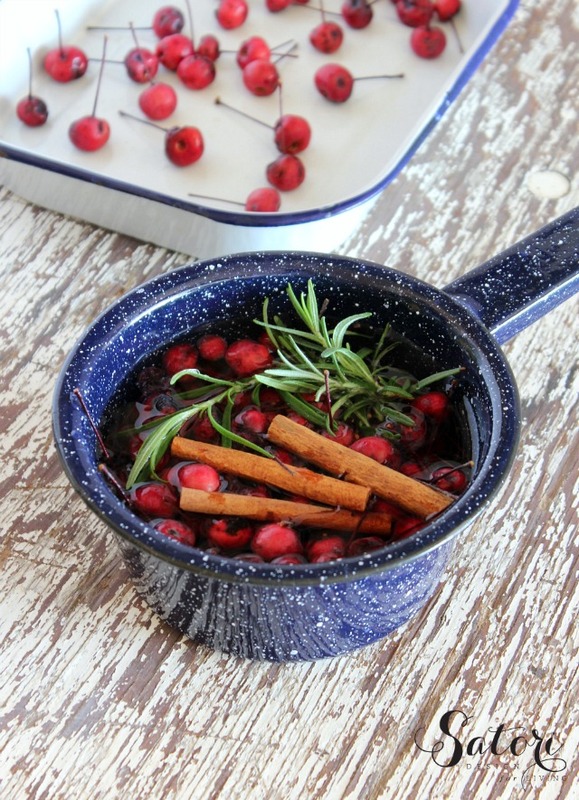 Stovetop potpourri is made with a mixture of fresh and/or dried ingredients and water. I like that it’s free from toxic chemicals and adds a bit of moisture to the air since our climate tends to be on the drier side throughout fall and winter. To make your own fall scent, put together any combination of produce, spices and/or herbs you’d like. It’s fun to play around with mixtures to create an aroma the whole family enjoys. 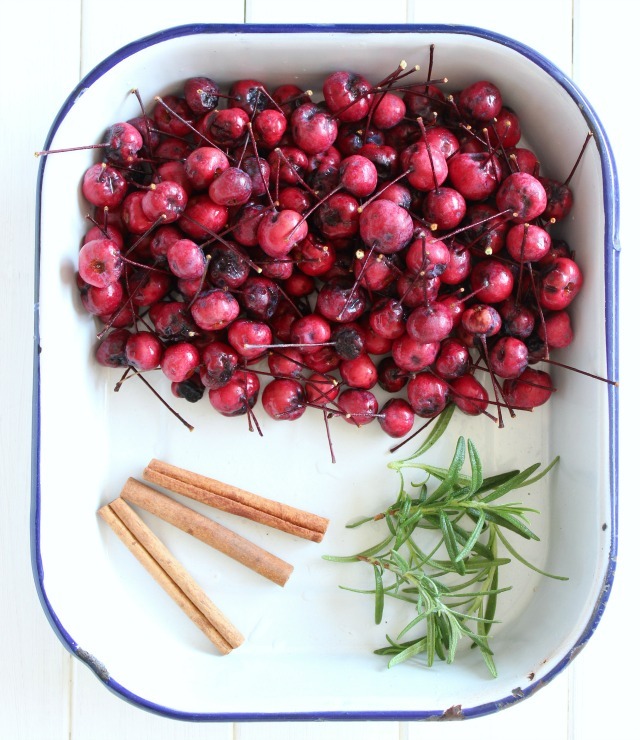 For this recipe, I used crabapples from our tree and rosemary from our herb garden. I like to forage or use leftover peels whenever possible to cut back on costs and waste. It’s usually the stuff that would end up in the compost bin anyway. Why not put it to use? Don’t worry if your apples are blemished (like mine) or your herbs are past their prime. For simmering, it doesn’t matter. Stems are okay too! Cinnamon sticks are one of my go-to additions since they make our house smell like I’m baking pumpkin spice muffins or apple pie. Hello autumn! Perhaps it’s a bit cruel when my family discovers I’m not- oops! Sometimes you just don’t have time, right? Putting together this fall simmer pot only takes a minute or two and is so worth it. Hope you enjoy! 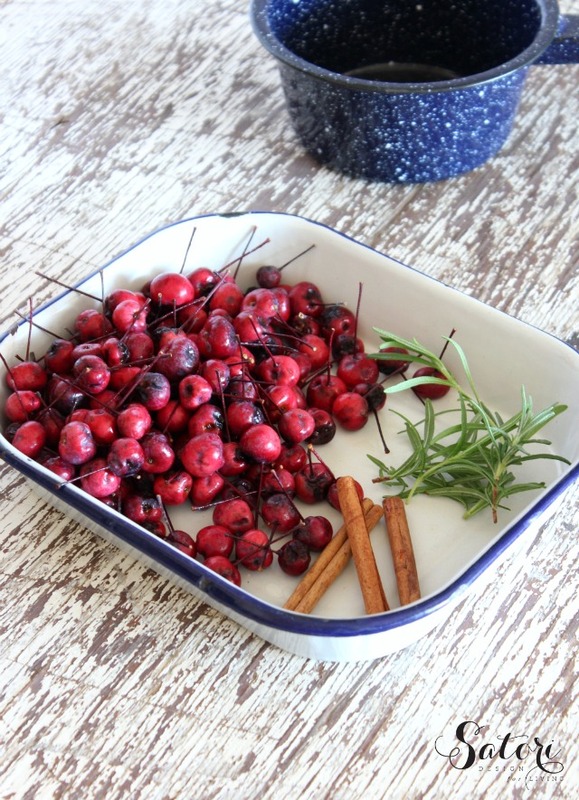 Ditch the synthetic air fresheners and make your home smell like fall with this quick and simple DIY stovetop potpourri. 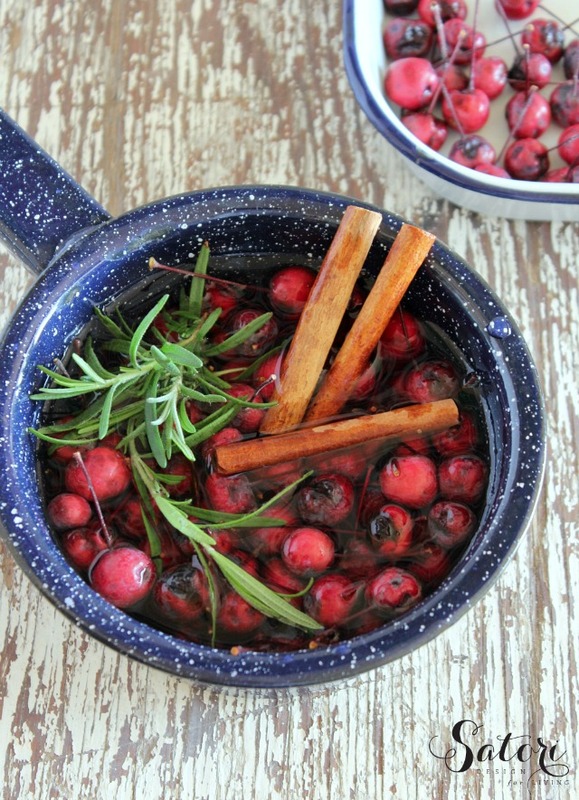 Place whole crabapples, rosemary and cinnamon sticks in a medium-sized pot. Simmer on stove, topping up with water as needed. Larger apples can be used. Simply cut in half before adding to the pot. Water can be topped up several times. Set a timer so you don't forget about it! PIN THIS FALL SIMMER POT RECIPE! Have you fallen for fall? 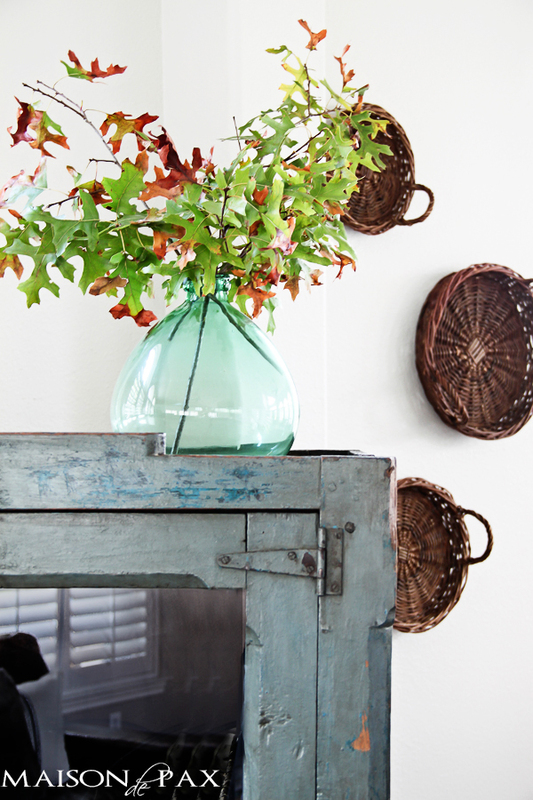 Check out these decorating ideas using nature from some of my friends! What are you favourite scents of the fall season? It does not seem like Fall at all here in Florida with temperatures still in the 90’s. I really need to get together on Fall decor and I think a pot of this simmering on the stovetop might be just the answer to my Fall doldrums. Thanks so much for sharing at Celebrate Your Story!